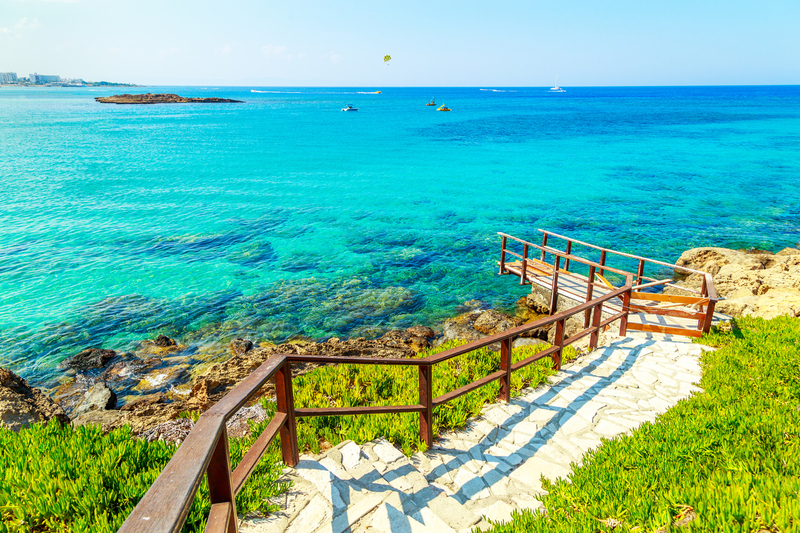 The island of love, Cyprus is a paradise of wild nature, stunning beaches and delicious cuisine. With so much to explore, knowing where to stay can be tricky. We’ve taken a look at some of the best holiday destinations in Cyprus to help you create the perfect holiday for you. 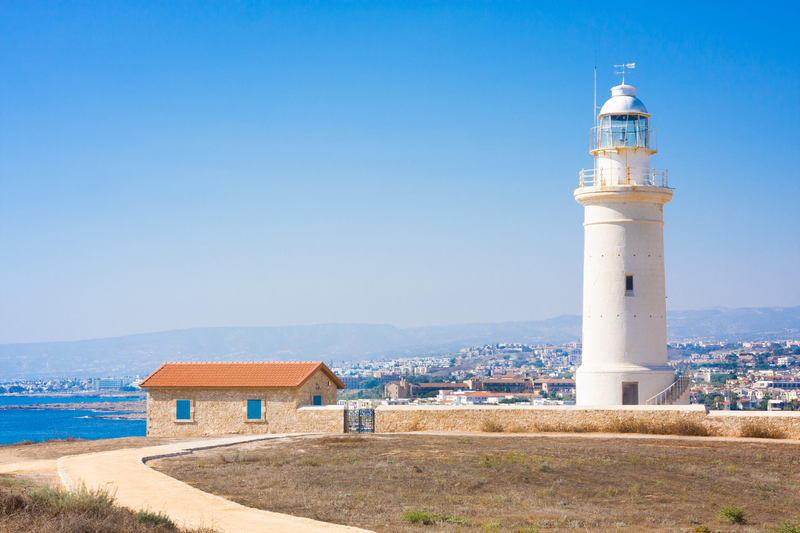 Famous for its urban legends, Paphos is said to be the birthplace of Aphrodite, the Greek goddess of love. With nature trails into the flourishing hills, discover the idyllic natural pools of the Baths of Aphrodite or explore Paphos with a town centre crowned with UNESCO World Heritage status. You can even plan a trip to the famous Paphos Zoo with conservation projects and over 210 different species of mammals, birds and reptiles. The Tombs of the Kings, once the prestigious burial grounds of wealthy and aristocratic Paphos residents is located around two kilometres north of Paphos harbour. Carved into the rock face, these tombs date back to the Hellenistic and Roman periods. Wander through the Doric pillar decorated chambers and crumbling entry hall. 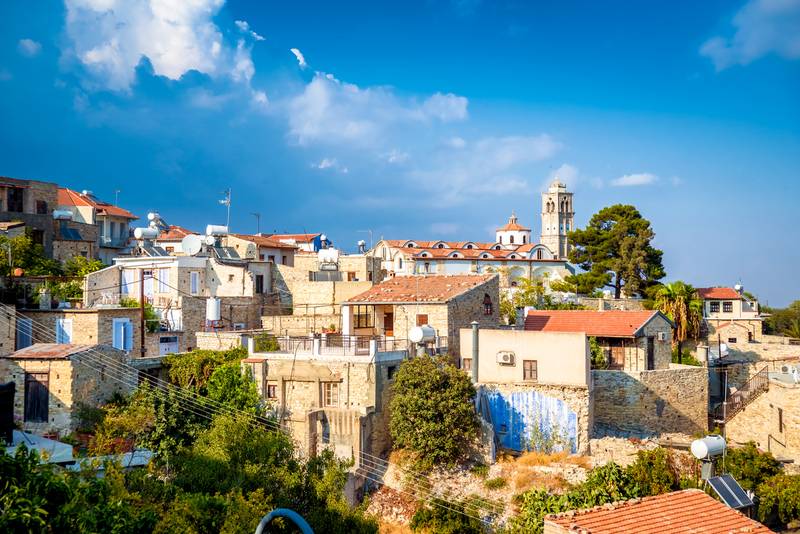 Whether you’d like to leisurely explore the history or the beautiful natural surroundings, Paphos is a great choice for families and couples alike. There’s no atmosphere quite like the neon-lit nightlife of Ayia Napa. 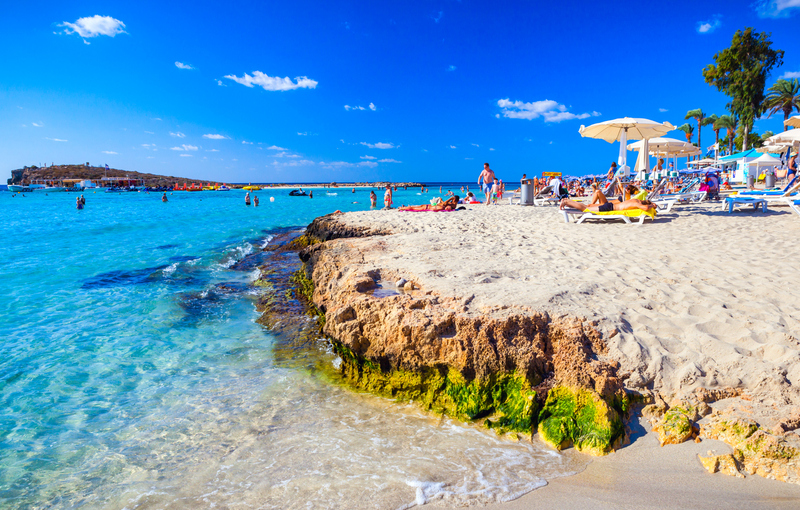 Brimming with restaurants, traditional tavernas and the famous Nissi Beach, Ayia Napa can give you all the excitement you need for a fun-filled holiday away with friends. Surprisingly, the vibrant Ayia Napa resort was once a sleepy fishing village but it has since been transformed into one of the, if not the very best, resort on the island for nightlife. Visit to have fun-filled days lounging on the sandy beaches before getting caught up in the magic after dark. A visit to WaterWorld water park to cool off is a must. It’ll have you whirling down slides, rides and paddling in the wave pools. So, gather your best friends and head to this lively haven to enjoy all that Ayia Napa has to offer. Ayia Napa’s laid back neighbour, Protaras is nestled on the eastern edge of Cyprus. Protaras is a purpose-built resort so you can visit and feel confident that the beaches will be pristine with powdery white sand and lots of amenities. As Ayia Napa and Protaras are so close you can experience both the calmer and more vibrant amusements. Fill your sunshine days with romantic scenic strolls before venturing into the whirlwind of nearby bars and restaurants. Snorkelling and watersports are popular activities on the island. Take a boat out to the protected Cape Greco snorkelling spot just off of the cost of Protaras. This natural paradise is apart of the coastal Cape Greco Nature Park where sea caves, nature trails and the iconic Love Bridge can be admired. Protaras is the place to stay in if you want a laid back atmosphere, shopping opportunities and fantastic hotels. With its palm-tree lined coast and famous Finikoudes Beach, Larnaca is a cosmopolitan resort featuring art museums, a pretty harbour and religious sites. 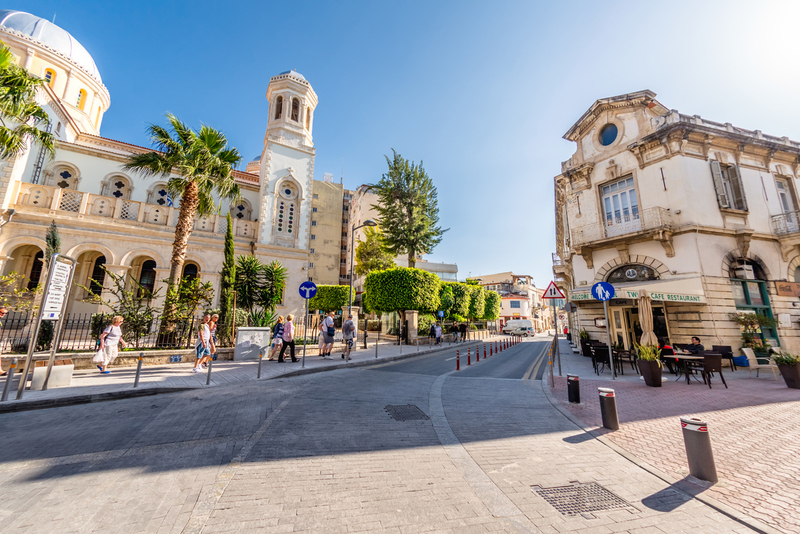 If you are looking for the cosmopolitan nightlife of Cyprus but prefer somewhere quieter than Ayia Napa, Larnaca is perfect for you. The picturesque resort offers both a serene setting along the shore and a lively town centre. As well as its fragrant green countryside, this resort is famous for its snorkelling opportunities. As Cyprus has beautifully clear waves to explore, you have the chance to peer into the water to see the colourful fish and sea creatures. If you’d like to explore further, visit the Ms Zenobia diving wreck to explore the eerie atmosphere of the sunken Swedish ferry that capsized back in 1980. On the southern shore of Cyprus, Limassol is the island’s biggest resort. Backed by rolling hills, this picturesque destination is famous for its vineyards and wine production. Offering up stunning beaches that have reached Blue Flag status, Limassol has the best of both worlds. This bustling port features both interesting historic and cultural attractions. It’s a place where you can enjoy watersports by the beach and explore the 19th-century charm of the old town. Dominating the cobbled streets is the Medieval Limassol Castle. Explore the well-preserved grounds and visit the Medieval Museum of Cyprus to learn more about the turbulent past of the region. With Roman ruins spread out in the area and lots of attractions and amenities, Limassol is perfect for families. If this guide has sparked your interest in visiting this incredible island, discover more about holidays in Cyprus.